Customer Relationship Management (CRM) is a team wide initiative. No one is excused from using CRM as part of their day to day process. 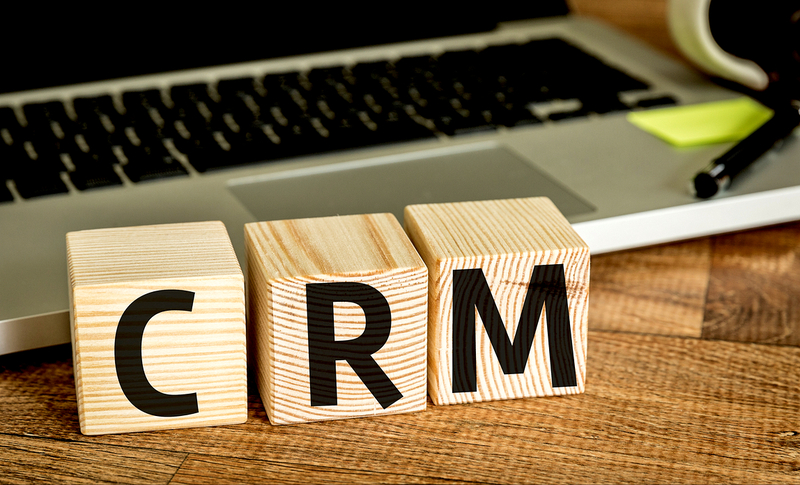 From sales to marketing to customer service, CRM collects data across all departments to collectively help the business gain a 360-degree view of their leads and customers. The more accessible and up-to-date data a business has, the more relevant their sales, marketing and customer support experiences will be. The entire business as a whole wins with this tracking and reporting. If your intention as an organization is to offer a seamless and enjoyable customer experience, then your entire team needs to know the customer, their history and any relevant or supporting information about them. How is a team supposed to get up-to-date, realtime data if everyone works in different systems, each collecting separate pieces of customer data? It’s inefficient and at this point, old school. With the technology that exists today, there is zero excuse for incongruous data. There is also zero excuse for making a customer repeat themselves over and over again to each department they speak with (this ring a bell, anyone?). All of their information, including customer service, sales and marketing data should be easily accessible by those who need it. While many companies are still stuck in the age of constantly importing and exporting data, sometimes by the hour, this still leaves room for potential error. For example, the other day I got a request from a pretty large company to contribute to the GreenRope blog. I liked her ideas, we agreed on one, and I was excited to get the article. While the first email may have been automated, the emails between the two of us discussing topics, were not. Then, a couple of days later, I got another email, the SAME email sent to a colleague who no longer worked with us. They were also in marketing with the same title as mine and obviously, the same company email suffix. I responded to her saying that we literally had just agreed on a topic and she immediately wrote back, quite embarrassed, apologized and reconfirmed the topic we had established just a few days before. Now, I understand mistakes happen, but as the marketing manager at a CRM and marketing automation company, my patience wears thin when mistakes happen…more than just once or twice. So, to continue, not a day later, maybe even the same day, my current marketing coordinator, again with the same email suffix, gets the EXACT same email as I had already received now twice. My marketing coordinator forwarded me the email and yet again, I responded that we had clearly already discussed a topic or was I missing something? This time I could feel the embarrassment coming from her apology email. While, I don’t blame her AT ALL, I do blame the system they are using (which I will not name here). It was clear to me that their data was out-of-date and they were improperly using their system to continuously send automated messages to multiple people within the same company. While not a big deal in the grand scheme of things, these little hiccups can be avoided. This story was just to express that old, inaccurate data can lead to mistakes and some of those mistakes could even cost you a customer or two if they are big enough. If your entire team has access to the company and customer data they need, they are better equipped for success and deliver on their promise of excellent customer experiences. Accountability in life is important and it’s just as important within an organization. When team members within a company share login information, you completely lose the ability to track what was done and by who. For example, if you have multiple sales people using one login, it becomes hard to track which leads belong to which sales person and which contacts are being followed up with by each team member. Sounds like a mess, right? As a salesperson, especially a high performer, you want to showcase your incredible ability to follow up, develop relationships and close deals. You can’t do this if you share the same username and password with everyone else on your team. The same goes for customer service. Let’s say that a customer service rep met with a customer to help them with an issue and at the end they promised a follow up. That follow up never came. Now, the customer is expecting action and receiving nothing. Problem. If your entire Customer Service (CS) teams shares login information, you can’t see which tasks or follow ups were assigned to whom and who was responsible for that follow up. Each person having their own logins is not a ploy to micromanage, it’s simply a tool to help each member OWN their work and the relationship they have with a client. Great service and great experiences come from proactive and positive interactions. Letting everyone jumble their work and interactions together does nothing for your team, and much less, the customer. This idea also spans across departments, which is why it’s so important that your whole department be tied together by a single, up-to-date database. For example, let’s say a customer comes in through live chat asking a customer service rep about another one of your products or services. It’s the responsibility of that customer service rep, who spoke with that person, to immediately pass the inquiry along to sales so they can quickly close the deal. If the two processes are not connected via technology, more specifically by workflows and activities within a CRM, there will not only be a lag in sales getting that inquiry, but sales will have to pester CS to get more information about the inquiry in the first place. Now, let’s look at what happens with an integrated system. Live chat comes in, chat is logged in the CRM record, CRM activity is created for the sales team, sales receives an automatic notification to follow up. Seamless transition from your customer service team to the sales team. The customer is also happy because they got an immediate follow up and sales is happy because they just got closer to making a sale. The post Why Your Entire Team and Business Needs to Play a Part in Your CRM Strategy appeared first on erpinnews.